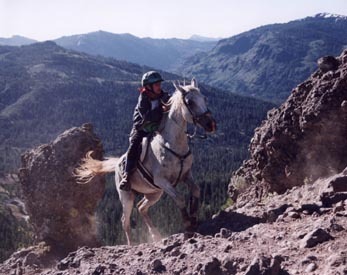 This webpage is dedicated to "Bo" who carried me over 3500 miles of competition and always wanted to see what was over the next hill, no matter the miles. 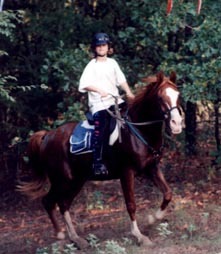 He introduced me into endurance riding and brought me great joy. 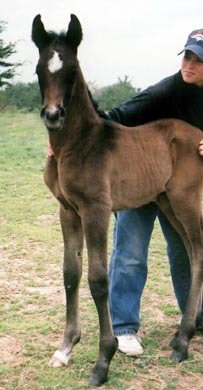 We are saddened at his untimely death from a broken leg by a broodmare He sired quite remarkable foals. 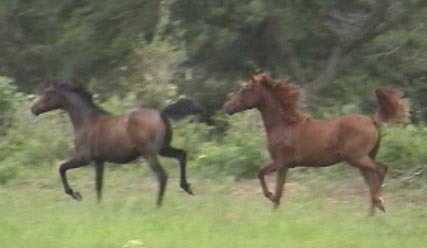 Ffire Storm+/ 10 year old black bay Crabbet/Babson mare. 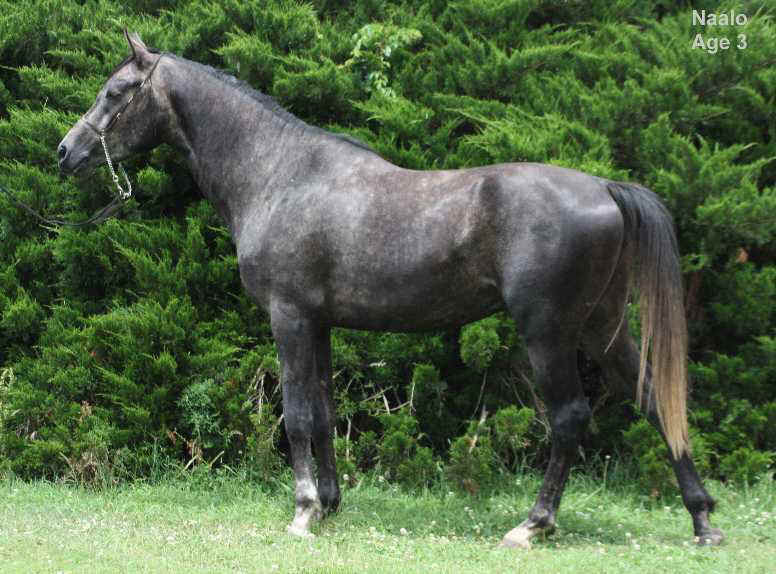 This mare is barely 14.2, and has incredible substance and excellent legs. 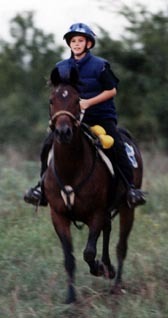 She is by FA AL BADI+/, a Legion of Supreme Honor and IAHA Regional Endurance Champion of over 3500 miles. 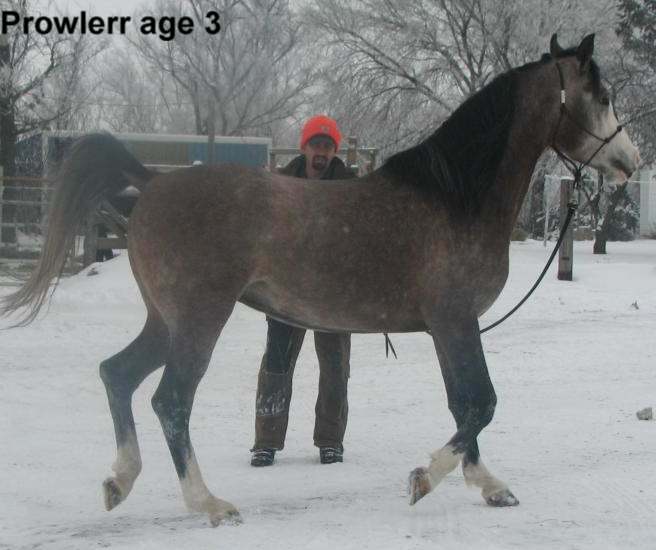 She has inherited her sire's incredibly smooth gaits, very fast walk, and low heartrate. This mare loves to be up front. 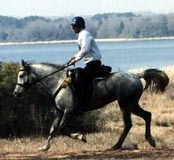 Ffire Storm won her first 50 of the 1999 season and ended the season as high point Arabian endurance horse in the Ozark Country Endurance Riders! Ffire Storm+/ qualified for the Nationals in both the 50 and the 100 last year. 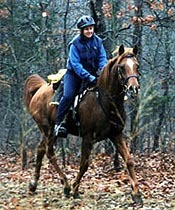 She is an excellent 100 mile horse and definitely a Tevis candidate. Will sell to an active endurance home only. She is extremely gentle but you must be prepared for a VERY smart horse! 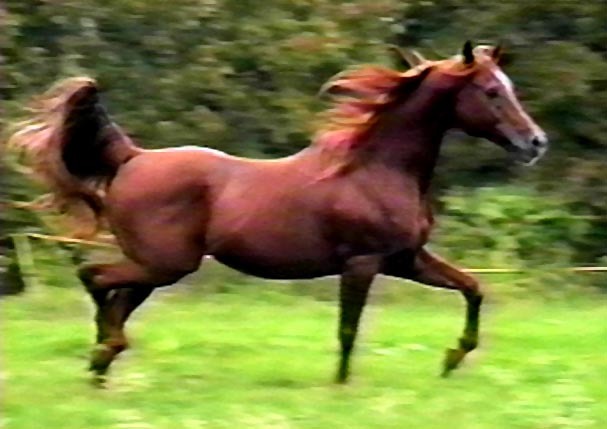 FFireStorm won the Region IX IAHA 2002 Championship, as did her sire, FA AL BADI+/, exactly ten years ago! Like her sire, she also received IAHA Best Condition, and also AERC Best Condition! This team placed 2nd featherweight, and second overrall in the Central Region for 2002! 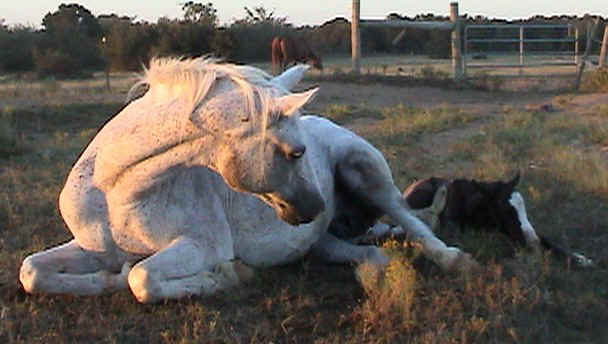 We regret to say that Stormy was struck and killed by lightning on June 14, 2003. She had just received her Legion of Supreme Honor. We will miss her terribly as she was one great little mare! 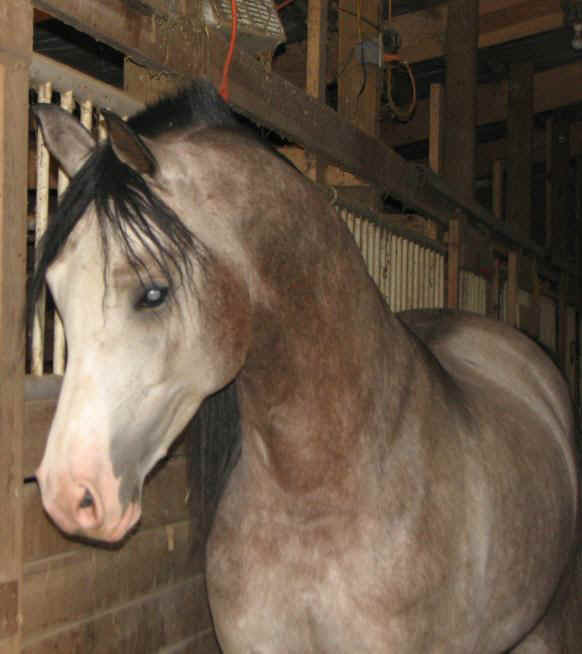 12 year old homozygous pinto stallion. 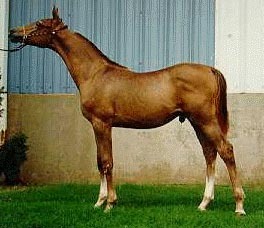 3/8 Arabian, 3/8 Saddlebred, 2/8 Paint. 15.2h. Gorgeous head, big eye, wonderful body! 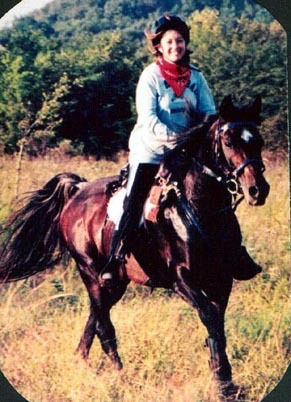 Poseidon was the 2005, 2007 and 2009 Pinto Endurance Horse of the Year! He was 2009 AERC 7th place Jim Jones Stallion and has over 1500 AERC miles. 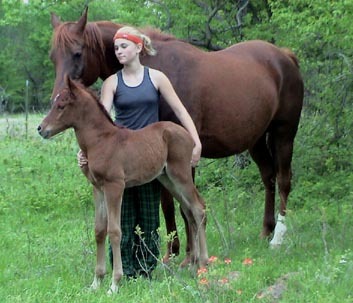 His foals are in your pocket, calm, and the best horses I've ever trained! Click on link for more photos! $500 stud fee. 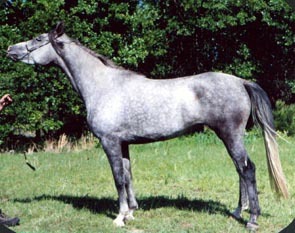 2007 Grey 15.2h Straight Russian stallion by Paradoxx and out of The One Iment. 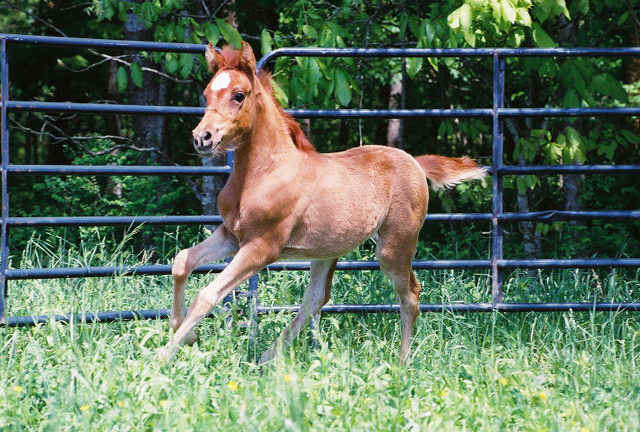 Naalo represents three generations of our Straight Russian breeding program! 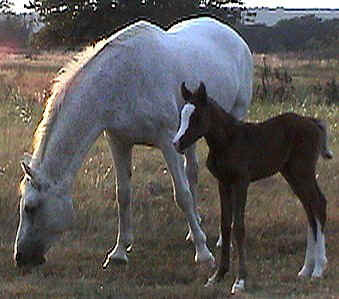 He has outstanding conformation and is a gentle, kind horse. His name means lovable in Swahili. He was trained in working cow for 60 days and now is doing 50 mile rides. He won high vet score ever time he stood for BC! 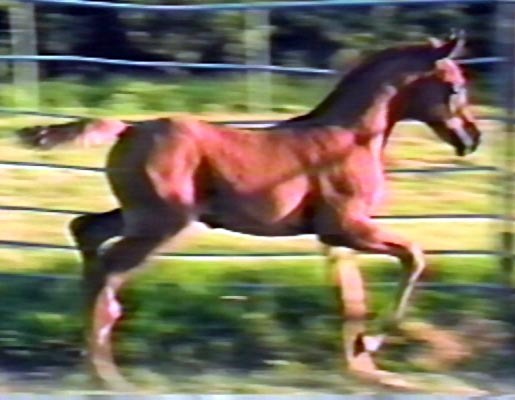 This horse will add low pulse rate and outstanding trot to your foals! Straight Russian horses got three of the 4 high vet scores in the year end awards in OCER this year. $500 stud fee. Paradoxx is a massive straight Russian stallion that is truely 16h tall. 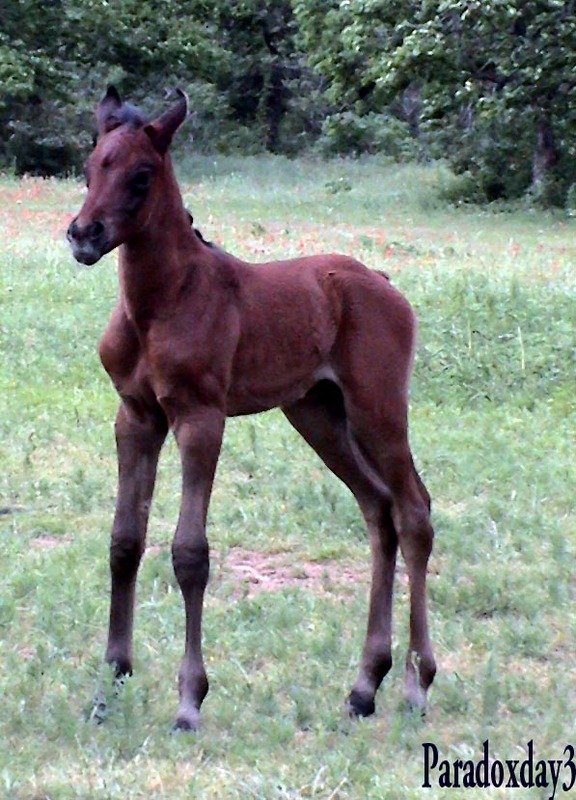 He will add the Russian TROT, size, and bone to any mare! We bred him to our three Russian broodmares before he went to Jordan and they are outstanding (Naalo, Paandorra and Naarnia) Paradoxx is now a race winner in Jordan. He is called Wisdom there and doing very well for the Royal family! 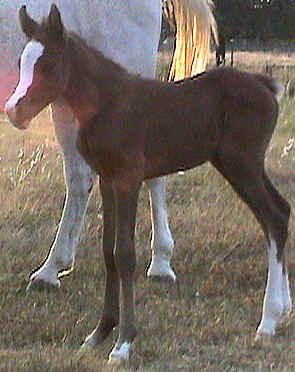 15h Straight Russian *Muscat son out of *Kastanieta, a full sister of Kilimandscharo! Krakow has been described as "Muscat's most lookalike son. This boy was in Georgia and we are excited to have him grace Firedance Farms! This is a very nice horse! Thank you Mary and Scott Wooten for selling us this wonderful horse. Unfortunately, Krakow is now retired from stud. 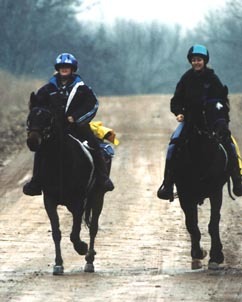 It is with great sorrow we announce the passing of Krakow Jan. 25, 2007. He slipped on the ice and broke his leg. He leaves a legacy of six (five Straight Russian) offspring, but he will be greatly missed. 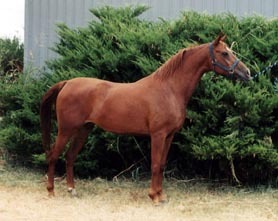 Straight Russian 15.1h gorgeous chestnut *Muscat son out of a Kilimandscharo daughter. Refererence sire. Straight Russian *MANDAT daughter out of a *MUSLIN daughter. 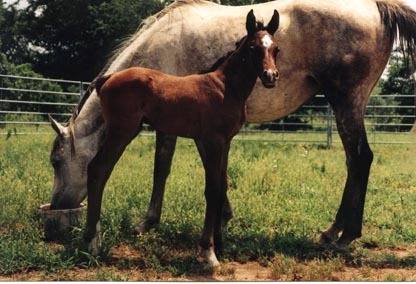 Dam of Magnanimity(Menemuscavoy) 1999 grey filly(see references) and PassU(Madison Avenue)2001 grey colt(see references), Paradoxx (Madison Avenue)2002 bay colt, Prowlerr (Krak)2004 bay colt (see references), and Phantasy (Krakow) 2005 bay filly. 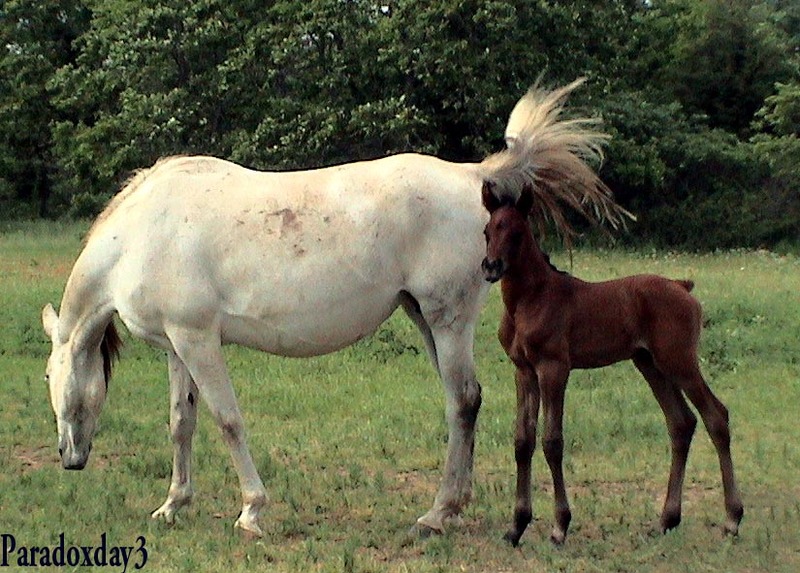 New FARAH LENA +/ FILLY by KRAKOW! 1000 miles at age 18 and 19!